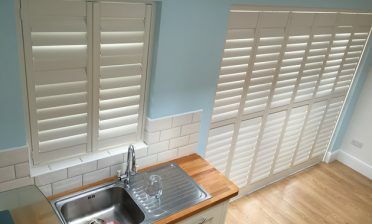 Ben was in the town of Weybridge, Surrey to install some shutters for a customer called Madeline. 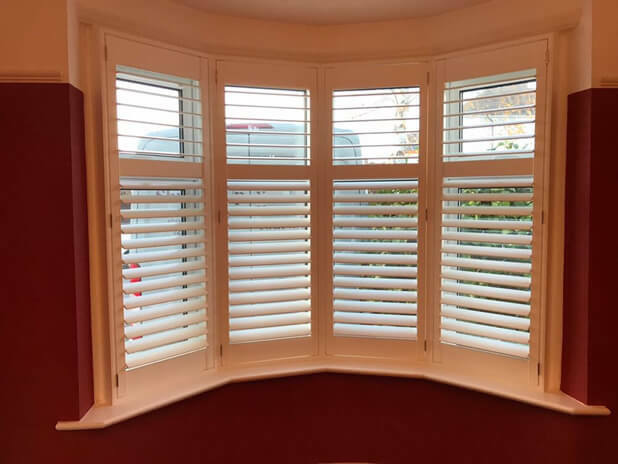 The shutters were to be fitted to the living room, bedroom and a dining room area with different types and sizes of windows. Upstairs and downstairs featured two bay windows, with the downstairs featuring red painted walls which we just knew would sit perfectly against some new shutters! 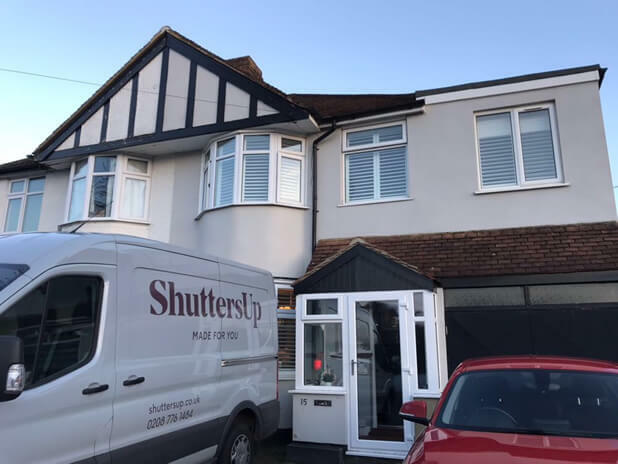 The other areas featured standard shaped windows, but as with many of our installs it was important to get the shutter style and finish matching throughout all rooms no matter the type of window. 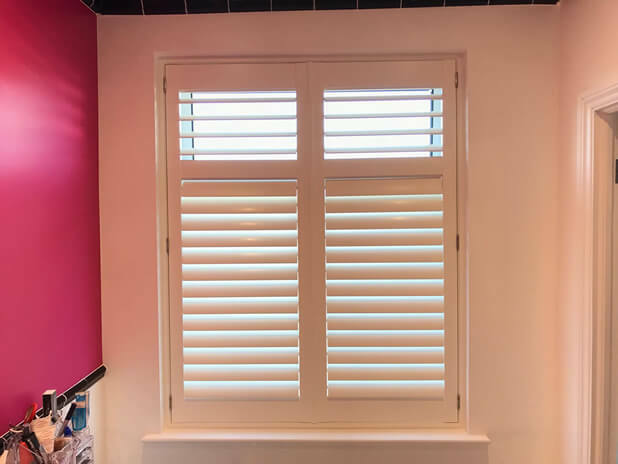 We created the shutters from out Antigua range of MDF which makes for a more affordable, yet still great quality alternative to our hardwood solutions. 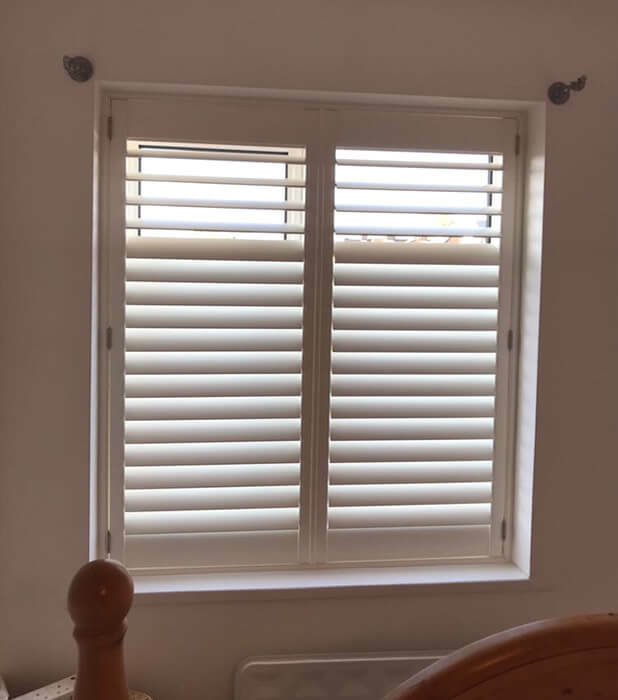 We often finish out shutters in pure white but these shutters were spec’d with a silk white paint and stainless steel hinges in keeping with the customers preference. 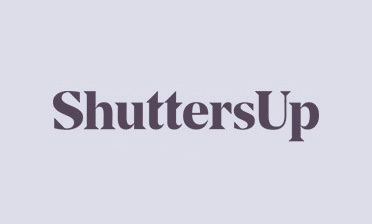 All shutters feature thick 76mm louvres with hidden tilt rods for a modern and minimalistic look to the new shutters. 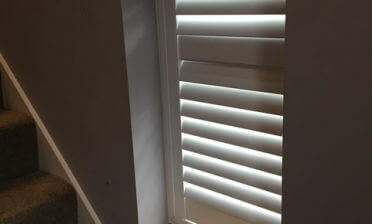 Using the hidden system the louvres can still be quickly and easily adjusted by simply touching one of the louvres and they all move in sequence using a built in system. 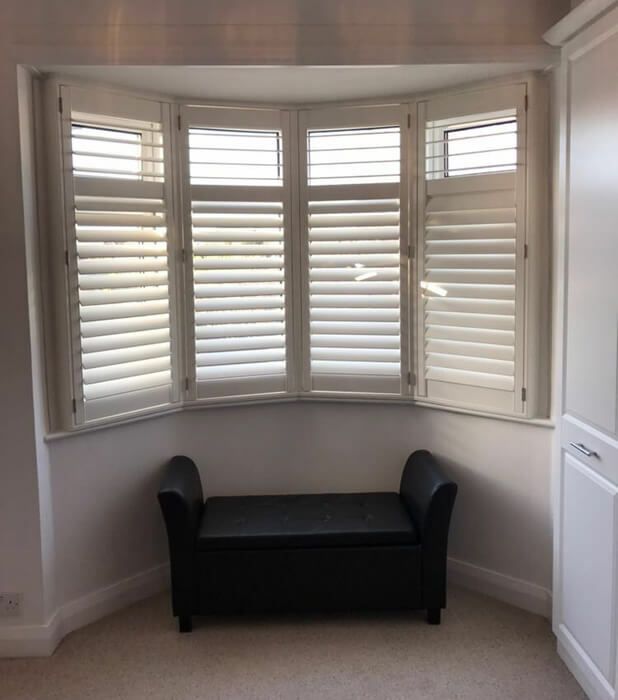 The design and installation of these shutters helped to transform the inside and the outside of the property, leaving a very happy customer!